What should the contract say when your school purchases textbooks, either ink-on-paper ones or digital ones? "By agreeing to deliver the materials marked with "NIMAS" on this contract or purchase order, the publisher agrees to prepare and submit, on or before ___/___/_____ a NIMAS fileset to the NIMAC that complies with the terms and procedures set forth by the NIMAC. Should the vendor be a distributor of the materials and not the publisher, the distributor agrees to immediately notify the publisher of its obligation to submit NIMAS filesets of the purchased products to the NIMAC. The files will be used for the production of alternate formats as permitted under the law for students with print disabilities. Note that the delivery of print versions should not be delayed in cases where the NIMAS fileset has yet to be completed, validated and/or cataloged by the NIMAC." But this is not really good enough. First, the "documented disability" limitation works against both common decency and educational practice (providing students with what they need), but also against the entire idea of Response-to-Intervention, which requires that we test accommodations and remediations before labelling kids. Today, at the CSUN 2010 Technology and Persons with Disabilities Conference, Jeff Diedrich of MITS made a better suggestion. If you buy books for your school your contract should state that the entire contents and formatting of the purchased texts be available by the delivery date in a fully accessible digital version available to every student (I'm paraphrasing his exact wording). And that version will either be (your choice) provided by the publisher or prepared by the school district (the latter option will require early delivery of a copy which can be cut apart and scanned). Thus, we skip right past all the controversies and ambiguities of US copyright law and the Chaffee Amendment, and move ourselves directly to universal design, where students get to choose their content delivery system. And you do that simply via the power of the consumer. We don't really want to, another speaker today, re-open the copyright law thing, since, inevitably, that would become all about Disney's 500 year copyright to Snow White and the RIAA's right to sue random people for millions of dollars and the Authors' Guild ability to stop people from reading books. Instead, we simply want to use the powers of the purchase order to create "the change we need." (1) Remember, digital does not mean accessible. Many textbook publishers go to great lengths to provide completely useless digital versions, which cannot be read by screen readers, or otherwise be used creatively by students. However, Pearson Publishing is beginning to offer highly accessible html versions, so consider that. (2) You always want format flexibility. The more digital versions you can easily create, the more accessible your school will be. DAISY versions do a lot, but can be clunky and hard to learn, and not all versions work with all DAISY players. Plain Text (.txt) or .doc (Microsoft Word) versions are easy to use, but often lack the formatting basic to many textbooks. HTML has a lot of advantages, as is shown by those produced by the Accessible Book Collection. (3) Bookshare is a fabulous resource but books tend to come in just one format. Conversion isn't always easy. (4) There are good resources at the Accessible Instructional Media page on the MITS-Michigan's Integrated Technology Supports site. 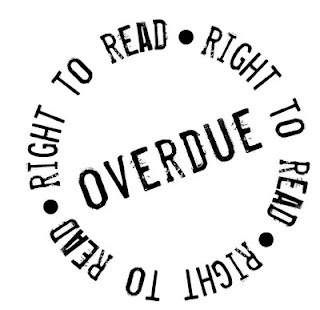 (5) You might also want to take a look at "The Right to Read," so we build understanding that unless access to what is in books is the same for all, we are choosing to leave people behind.